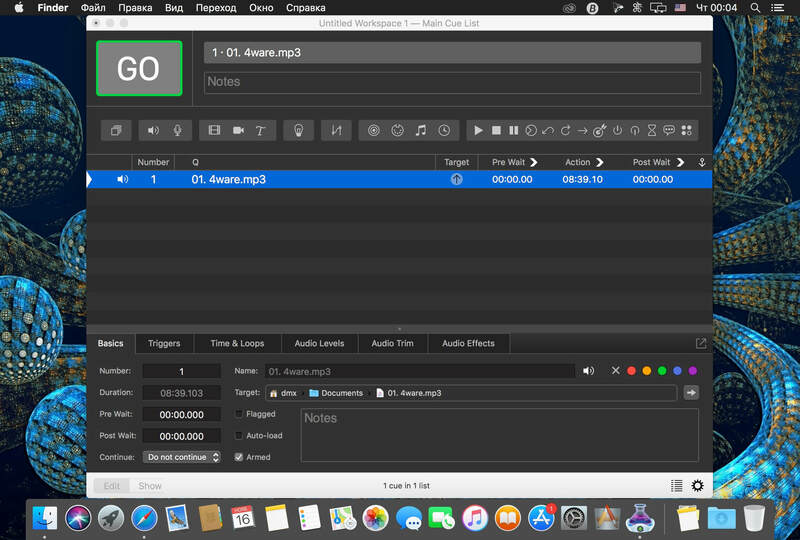 QLab allows you to design and operate amazing multimedia performances from your Mac OS X computer. 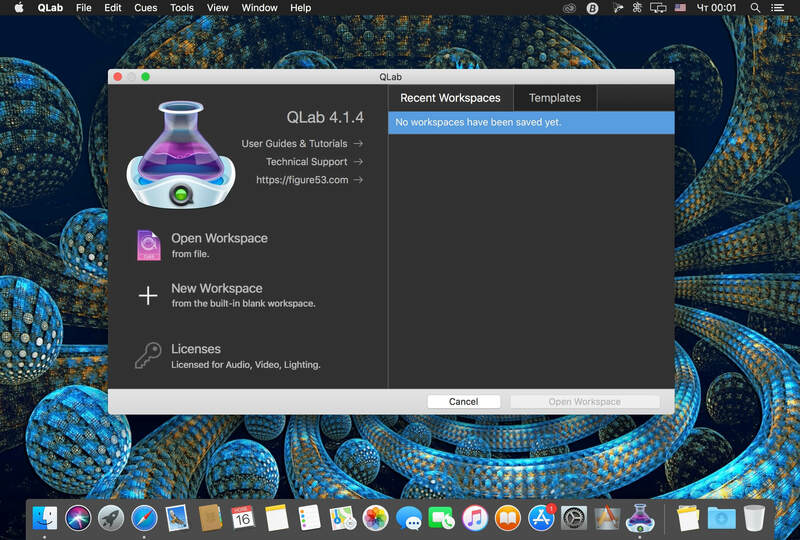 A single QLab workspace can control audio, video, MIDI, OSC, and more. Using building blocks called "cues", you can create sophisticated designs in seconds. Getting started is as simple as dragging in a file and pressing "GO". From there, add commands to fade volume, animate videos, or add audio and video effects. Battle-tested and used by designers around the world, QLab is the tool of choice in venues large and small. You can now apply live audio effects to all your cues: EQ, pitch shift, reverb, and more. 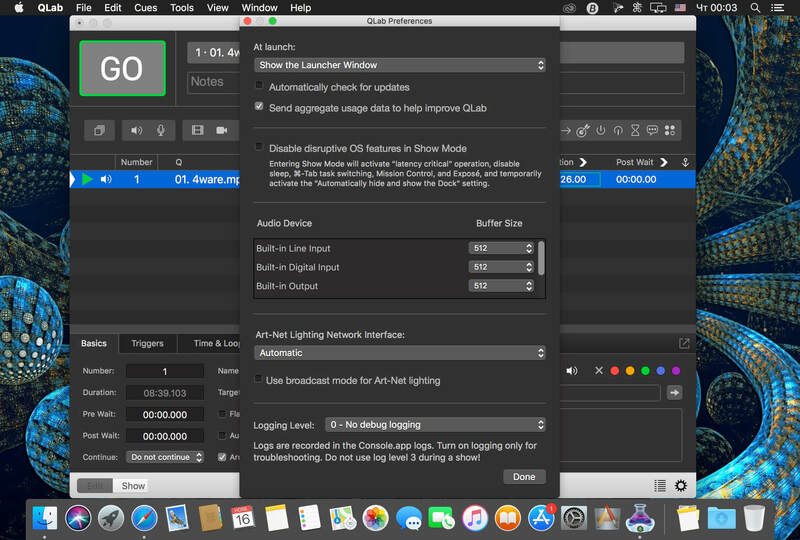 Add audio effects to individual cues, across all cue outputs, or on your device outputs. The powerful new Fade Cue can adjust your audio effect parameters in real time. It can even adjust playback rate, to dynamically speed up or slow down your audio, with or without pitch shifting. The new Mic Cue offers up to 24 channels of live audio inputs. Plus all those routing, fading, and audio effects you get on Audio Cues? You get those on Mic Cues too.